With Nike releasing the Back To The Future style sneakers we thought we would take a look at some other products available in 2015. Auto Adjusting and Auto Drying Jacket: Are you tired of buying jackets for your child that will not fit in a year because they have grown up and/or out? Auto Jacket is the clear choice in lifelong clothing. 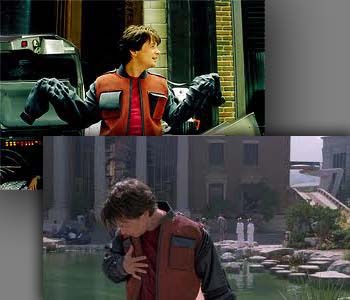 Auto Jacket has the ability to change from a size small to a XXXL in a matter of seconds. Plus, they will never be wet again with the patented “Jacket Dry System”. Auto Jacket is the perfect fit for every body. Automatic Dog Walker: If you are like most people, you are busy all the time. With so many demands on the modern life who has time to walk the family dog? 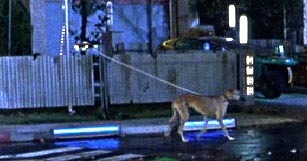 The answer is the Automatic Dog Walker from FIDO. With proximity sensors, there is no need to tell the Automatic Dog Walker where to go, just leash up your pup and they are off. In addition, the Exercise Setting included on all FIDO products will whip your overweight pet into Best In Show shape. 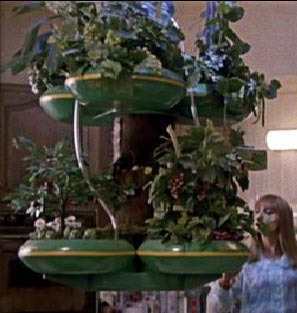 Garden Center: Everyone knows fruits and vegetables are an important part of any healthy diet, but keeping them fresh and ripe is such a chore. With the Garden Center, your fruit and vegetables will stay ready and delicious for whenever you get around to eating them. In addition, the Garden Center can be equipped with the “Manners Chip”, which will withhold items if that magic word isn’t spoken. Train your kids to eat right and be polite. Video Glasses: Tired of having to stay in one place to watch TV? With the new JVC Personal Video Glasses you can watch TV anywhere. Plus JVC Video Glasses come with the patented Dual Channel Display. So you don’t have to watch just one channel at a time, you can watch two. 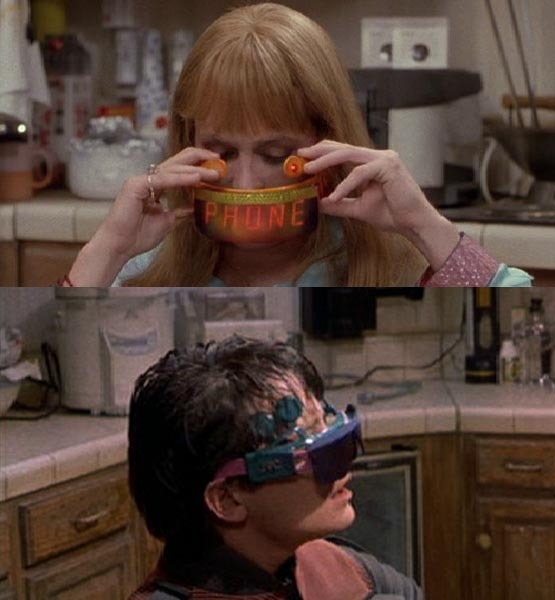 For a limited time only, get your JVC Video Glasses upgraded to include a portable Video Phone. Not suitable for those with heart conditions. Hover Conversion: With the growth of the expanding metropolis, ground transportation just isn’t good enough. Don’t stay on the ground waiting in traffic, rise above it. The sky is the new open road. 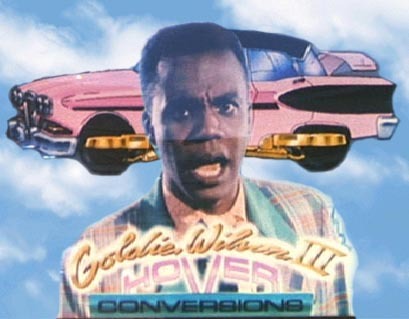 At Goldie Wilson Hover Conversion Systems we use certified Flying Circuits and top of the line Hoverwheels to transform even the most vertically challenged vehicles into Skyway Flyers. Don’t forget to inquire about the Federal “We Don’t Need Roads” Tax Credit. Bionic Implant: Do you struggle to open jars or bend iron rods into creative sculptures? The era of having to just go without jelly or whimsical lawn art is now over. With bionic implants from CYBORG we can swap out nearly any human extremity with a “quality guaranteed” robotic replacement. The market is flooded with cheap bionic limbs that promise robotics on a budget, but buyers beware these are inferior products that may cause more harm than good. 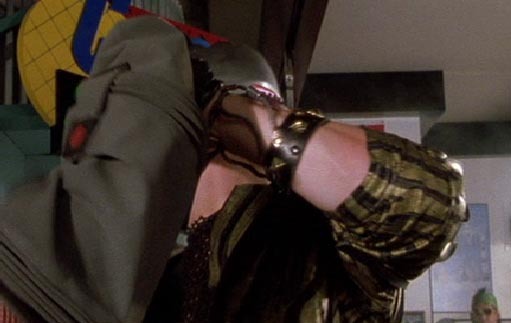 So if you want to go bionic, remember to go CYBORG. Hydrator: Need food fast or even more likely, now? Before you had to go out to a fancy chain to get quality-rehydrated meals, but the wait and waiting is over. The Black & Decker Hydrator can cook an entire meal in an astounding twelve seconds. From pizza to steak, the Black & Decker Hydrator makes preparing meals so simple a child can do it. (Adult supervision required.) The Black & Decker Hydrator will be the last kitchen appliance you’ll ever need to buy. Six Second Hydration Units Coming Soon! Rejuvenation Clinic: Tired of feeling like you were you born in the 20th Century? 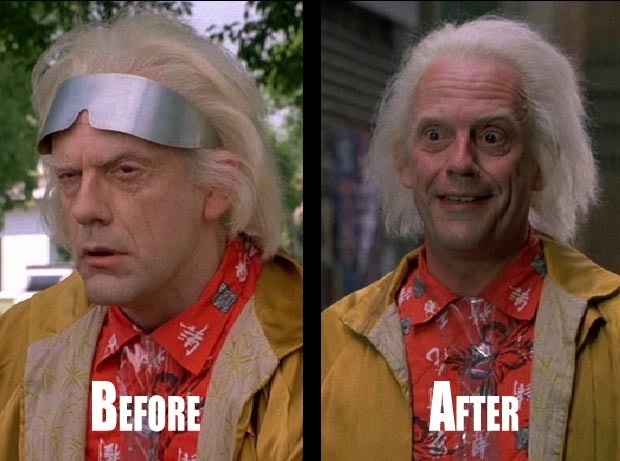 If you’re old and you don’t want to be Rejuvi Rejuvenation Clinics are here to help. With a wide array of treatments from a quick Blood Change and Hair Repair to more advance techniques such as spleen and colon replacement. A weekend stay at one of our plush locations will add 30 to 40 years to your life. 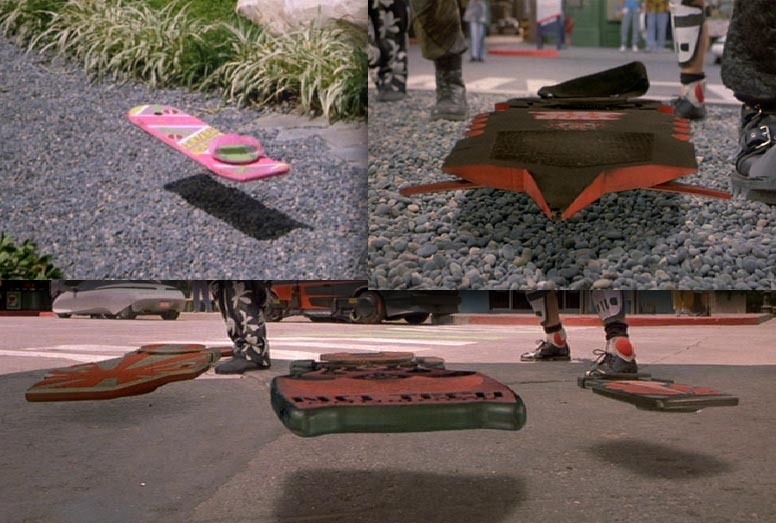 Hoverboard: Don’t be left in the dust or on the ground. Check out the wide selection of hoverboards at the Hoverboard & Hoverscooter Emporium located in downtown Hill Valley across from Cafe 80’s. We stock a variety of colors and styles. Including; Matel, Rising Sun, and No Tech. Note: Most boards do not work on water. For the extreme hoverboarder we carry the all new Pit Bull. The Pit Bull comes equipped with multi-directional mini rockets and three “ally” tow cables. 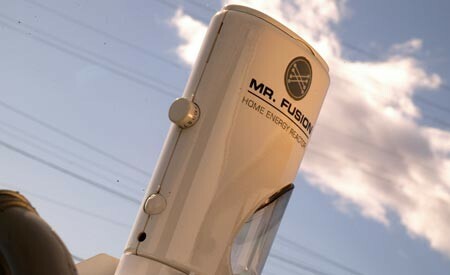 Mr. Fusion: Fed up with sky rocketing energy costs? Then The Mr. Fusion Home Energy Reactor is here to save you money and the planet. Fusion Industries is dedicated to making your home run on trash. Don’t just throw you garbage away, make it work for you. The standard Mr. Fusion takes everyday items from banana peels to aluminum cans and turns them into clean cheap energy. What 2015 product would you most like to have?